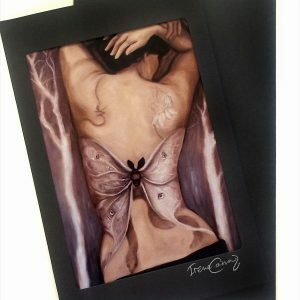 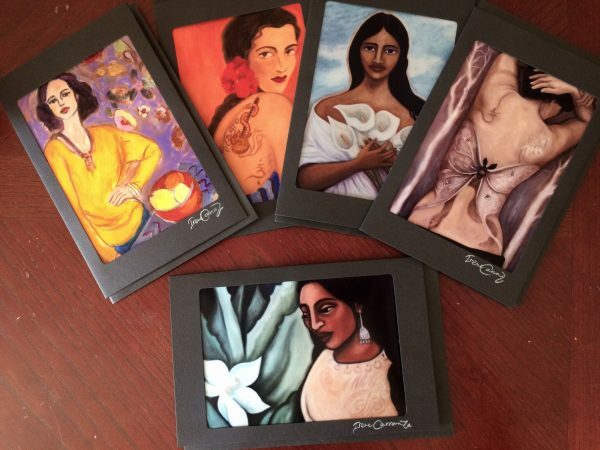 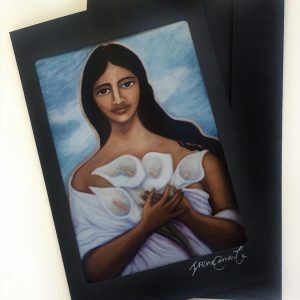 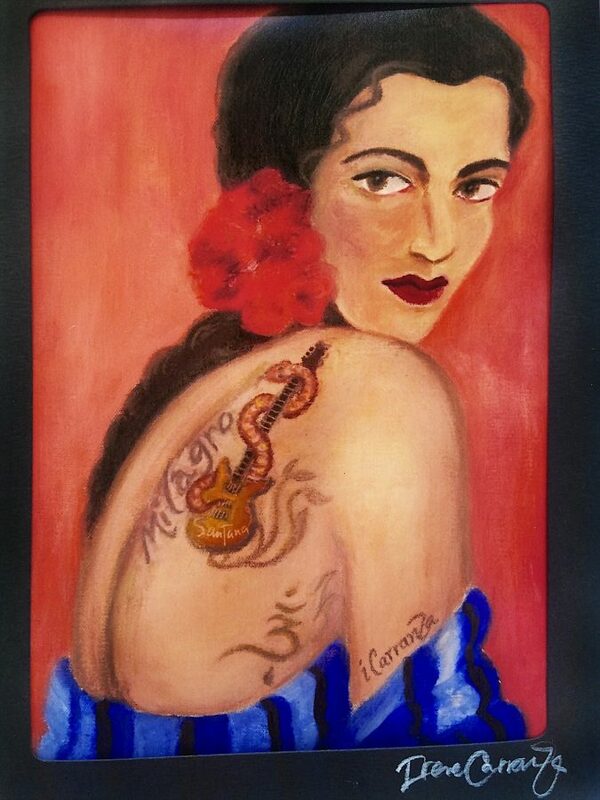 Matted art print from an original painting by Irene Carranza, “Milagro Tattoo”. 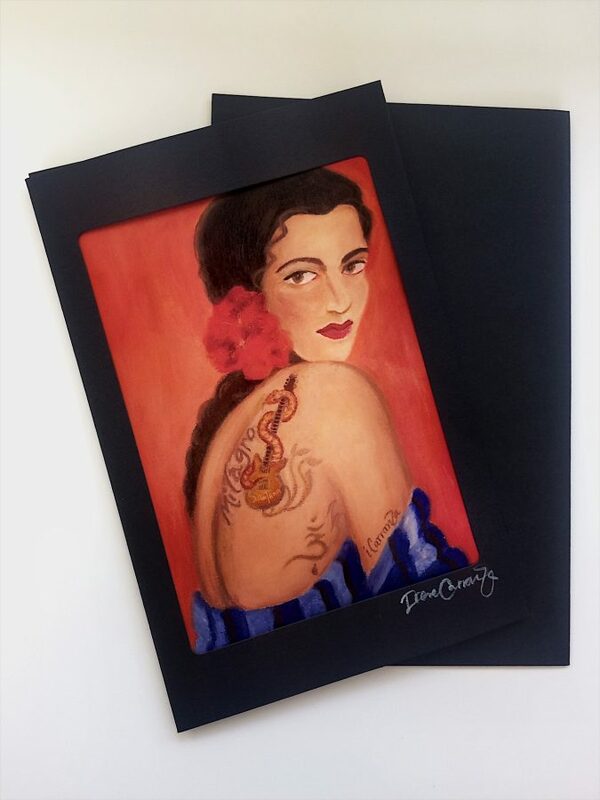 Collectible print with an elegant and artsy black frame including black envelope, signed by the artist. 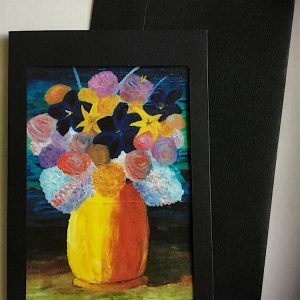 Sending to someone as a gift? 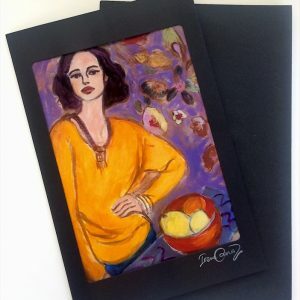 We can send your art card directly to the recipient and include a hand-written note (from you) no charge.